Tad Mason has over 38 years of experience in the fields of renewable energy project development, natural resources management, biomass fuels/feedstock procurement, and forest/range landscape-scale hazardous fuels reduction. As a Registered Professional Forester, Mr. Mason has hands-on experience in all aspects of natural resources management from preparation of forest management plans, to managing forest fuels reduction projects, to advising decision makers on key policies in support of renewable energy deployment and forest fuels treatment/restoration. As the CEO of TSS Consultants, Mr. Mason leads a team of professionals who are well versed in the tasks required to successfully develop and deploy biomass power generation projects. Critical tasks such as conversion technology site location analysis, fuel/feedstock availability assessments, fuel procurement plans, financial analysis, environmental permitting, negotiating power/heat sales agreements, feedstock handling design, and technology assessments are key to the successful development of a biopower or thermal energy facility. With community support an integral component of a successful renewable energy project, Mr. Mason also assists clients with development and implementation of communications plans targeting stakeholders, peer groups and state/federal policymakers. Mr. Mason has worked closely with a variety of forest landowners and managers in both the public and private sector. 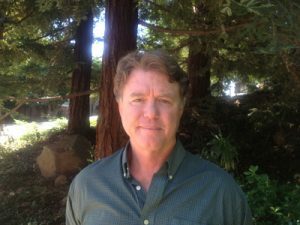 Much of his work is in support of fuels management projects, conducting applied research addressing effective vegetation management to mitigate wildfire behavior and create defensible space adjacent to assets at risk (communities, sensitive wildlife habitat, watersheds). Mr. Mason has designed and implemented numerous projects focused on fuels management and forest restoration utilizing a range of advanced technologies. He has managed projects ranging from installation of fuel breaks directly adjacent to rural communities to landscape-scale fuels treatment projects implemented over thousands of acres. In addition, Mr. Mason has managed hazardous fuels reduction demonstration projects throughout the Inland West (Idaho, Washington, Oregon, California) utilizing a range of cutting-edge technologies. Mr. Mason served as a manager of wood fuel supply with Pacific Energy (now Covanta Energy) for over 12 years. In this role, his primary duties were to develop, coordinate, procure and manage fuel supplies for four biomass power generation facilities ranging in scale (generation capacity) from 12 to 50 MW. Fuel supply assessment and development utilizing a variety of woody biomass fuels (urban wood waste, agricultural residuals, and forest thinning material) were a major focus. Contract negotiation and the establishment of long-term fuel procurement agreements, including multiple year forest fuels thinning contracts and forest stewardship contracts, were an important part of the fuels procurement process. Other responsibilities included company start up, strategic long-term planning, fiscal budgeting, management of field operations and community outreach. While involved in fuels procurement and forest fuels reduction projects, Mr. Mason gained extensive experience in project development and implementation. Due to the highly technical nature of forest/range fuels reduction projects, extensive planning and research were required to match the treatment prescription and equipment to the fuel type and topography while meeting resource management objectives. Upon completion of planning and research, a fuels management plan could be written and submitted for approval by the landowner or land management agency. Implementation would begin after the management plan was approved. Mr. Mason has led the implementation efforts on fuels reduction projects ranging in scale from 3 acres to over 6,000 acres.